﻿The five months exchange in EBS in Germany brought me so many amazing sights and valuable experiences which have changed the way I view the world! First of all, the German special practical teaching models, which are different from Chinese traditional and theoretical way, made the courses in EBS not only knowledgeable but also attractive. Besides, the international and multi-cultural teamwork spirits are planted deep into my mind through the intensive group discussion. It's painful but also very rewarding. Last but not the least, it is such a super great opportunity to meet and make new and reliable lifelong friends. Although we are from different cultures, speaking different languages, are buys doing different things, we could still find a bar talking about the exciting football games, coming up difficult exams, nice guys etc., or just lie in a park together for the whole afternoon enjoying the peaceful sunshine. German guys are really warm-heart and they do really want to help whatever people come across. Tof me, life in Germany is not an exchange study anymore, it is an adventure, a breakthrough, a refresh. Time flies by, it's been already half of a year since I've been studying in Germany. When I look back, I have a mixed and complicated feeling, for both the excitements and those hard times. Anyhow it has become an unforgettable memory in my life. 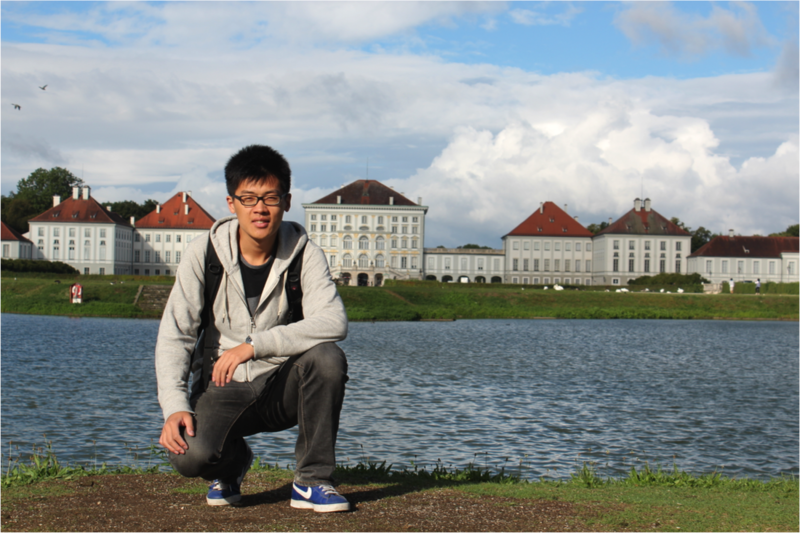 Before I came to Germany, I was just an autistic child who had a monotonous life between home and school. Although I aspired to the world outside, I had stayed in my comfort zone for too long and I don’t have the courage to make the change. However, by an occasional chance I came into contact with GEP (German Education Partner). in Rheingau, where sunshine is sufficient and the scenery is beautiful. I benefited a lot from EBS' teaching system during my study there. Firstly of all, my language skill has improved a lot from the English teaching courses and highly internationalized environment, which has improved my oral English greatly. The language is the first problem I need to face in my study. My English wasn’t bad in China, but I was only good at reading and writing, however, my speaking ability was not fluent enough for the daily communication. Therefore I avoided to speak to foreigners in case they mocked at my awful English. Things changed when I started to live here. People listened to me patiently and gave me proper instructions when I was stuck. After a semester ended, my oral English got better, and furthermore, I develop much more confidence! With the ability to speak fluent English now, I started to learned more about different cultures and customs of different countries through the conversation with other students in the university. Secondly, the active class atmosphere deeply struck my heart. Comparing to the cram study in China, in-class discussion plays a more important role in western way of education. Students and Professors interact much in classes. Students will never hesitate to "ask", professors also bring up questions to students, there is also case study for the class discussion. Here, I feel the clash of different culture, and the delight of thinking. Lack of German language skill difficult your daily life. German language is a necessary skill. It can ensure the effective communication in the German enterprise. 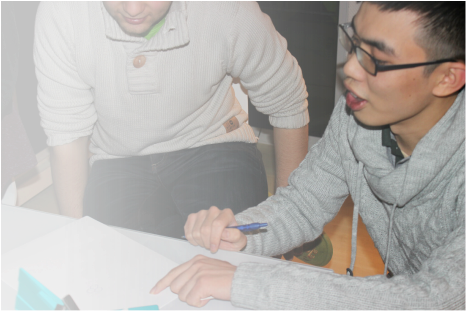 Therefore, school provides course for students who seek job opportunity in Germany. 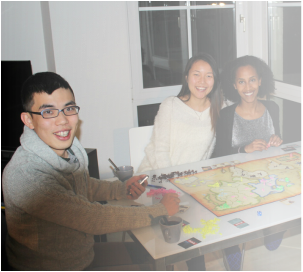 For those students who wish to stay in Germany, Germany Track is the right choice. Through three semesters' intensive language courses help students’ German skill reach B2 Level. These courses are really helpful to my German skill and I gained more confident to blend in the local community. The fourth one is the importance of the teamwork. 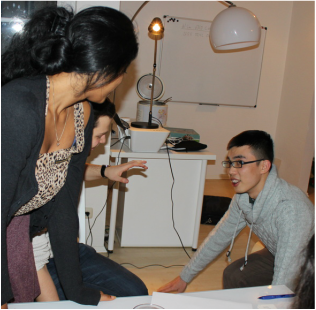 Group work is very common for EBS students. These work require students’ high level of communication and coordination skills. I did not do very well in this type of work initially. Having been more used to working alone, I felt hard to participate in the group discussion. But the classmates in my group always helped me with enthusiasm. Gradually I learned how to express my opinion in the discussion and communicate with other members effectively. Being able to finish the assignment successfully and obtaining good grades on it made me realize the importance of the teamwork and the joy that cooperation brought me. I am grateful to have GEP, which provided me a series of instruction and help. They solved my tons of questions about application to both university and visa. I was once not able to get my visa before the semester began, they helped me to contact the university and got the permission of delayed admission. With their help, I even found a room near university at a fair price. After I arrived Germany, they prepared all kinds of necessities for me, such as bank card and SIM card, so that I can deal with my study with full force. We are still in contact, and they are always there for me just like my another family in Germany. They are credited for my successfully scholastic career in Germany!